OBJECTIVES: To support the Mission of The Salvation Army Hope Acres through provision of supportive care to clients, as well as courteous service to visitors and members of the public. To function responsibly as a member of the Centre's staff team through maintaining the safety and security of clients, completing accurate documentation, and ensuring the smooth functioning of the facility. RESPONSIBILITIES: Ensure those entering the facility are not under the influence of alcohol or drugs Appropriately model healthy life skills and socialization to clients Provide support as needed to clients in residence, as well as clients and former clients by telephone Manage the safety and security of the building after office hours, evacuation, emergency management, and conduct Facility rounds Manage interpersonal crisis and conflict situations among clients Manage behavior modification strategies with clients (positive and negative consequences, warnings and discharges) in consultation with team as required Train and supervise client chores and work therapy as required Review and complete all required written communication, including log book, communication book, general log, Initial Inquiry Forms, email reports as necessary, complete shift reports Maintain professional and appropriate verbal communication with co-workers, on-call counselors, management, clients and members of the public while on duty Effectively and safely manage distribution of client medications, as required Assist with admission and orientation of new clients Answer doors, telephones and accept deliveries as necessary Assist with preparation and service of meals as necessary—willing to act as casual cook in absence of cook(s) Perform housekeeping duties as required Participate in team interactions and decision making, as required Process client belongings on discharge Ensure that clients are following guidelines Stock housekeeping supplies as necessary Appropriately manage hazardous items such as cleaning supplies and sharps Conduct bag searches when necessary Supervise client urine screens, breathalyzers as required Admit new residents according to policies and procedures Complete rounds and room checks to ensure attendance and safety of clients ORGANIZATIONAL RESPONSIBILITIES: Be in agreement with and willing to support our Mission Statement and treatment philosophy Maintain a tobacco, drug and alcohol free lifestyle while on Salvation Army property Model appropriate dress that reflects a professional office environment Participate in all staff meetings by attendance and participation Participate in regular direct supervision with immediate supervisor and implement improvement in performance as directed Participate in yearly formal evaluation Represent The Salvation Army Hope Acres in a professional manner at all times Be punctual and work all hours scheduled, advising immediate supervisor when this is not possible Read and adhere to the policies and procedures of Hope Acres Participate in staff development as required Work as an effective member of The Hope Acres Team Please note: This is a casual/Relief position We thank all applicants, however, only those candidates to be interviewed will be contacted. Food prep, cooking on the line, menu planning, inventory, ordering from suppliers, receiving orders from suppliers. Scheduling, leadership, supervising kitchen staff. Recipient of People’s Choice awards for Favourite Ontario Resort, Favourite Arena, and Silver Plate Award for culinary distinction as well as many hospitality awards recognizing our service staff for their years of dedication, exceptional service and contributions to the industry. We are currently looking for a Line Cook! 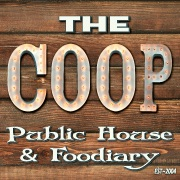 Description:To prepare & cook food for the a la carte and / or for the buffet service for our Restaurants and Banquets. Job Type / Category This is a full time position in the hospitality industry Required Education, Skills and Qualifications Hours:Approx. 40 hours per week. Shifts will vary and include weekends and holidays. Requirements:Candidates must have completed a recognized culinary program at a secondary college or have equivalent experience. 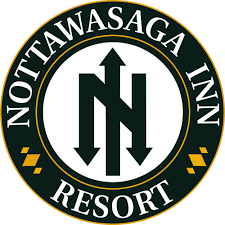 Nottawasaga Resort welcomes and encourages applications from people with disabilities. Accommodations are available on request for candidates taking part in all aspects of our selection process.